When we were making the move to South Carolina my biggest excitement was being surrounded by water and 30 minutes from two amazing beaches. Never once did Savannah cross my mind, but it quickly became my favorite part of being there. Spending most of my work time in Savannah, I grew to love the city. After finding an agent, I grew to love the fashion community. I got to work with many make-up artists in the area. So many talents! Time after time I had the pleasure of working with the team at Dollface By Jules. This small group of gals was at every major fashion event, and shoot in the area. Then on top of the creative fashion scene they are also rocking the television and wedding markets. The thing about this group is they work as a team. The communication is strong, they assess your face shape and skin type and make sure that make up stays. 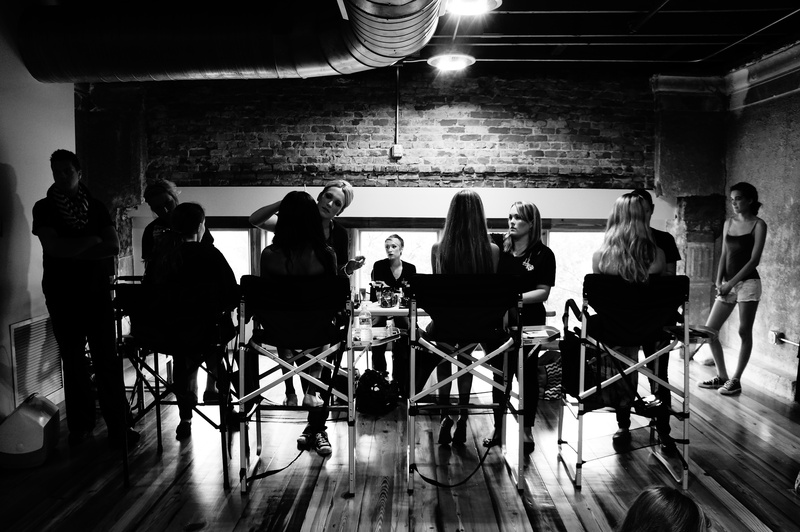 As a model, you love sitting in the make up chair because you know when they are done you are going to look amazing. But then there is the frustration that you can never recreate this look again outside of this professional environment. Well Jules heard that frustration with not just models, but women in general. All of us busy moms who have tried 1000xs to recreate some wacky tutorial that we’ve seen online, when we don’t have the products they are using, don’t know what the heck kind of brushes they are talking about, we end up defeated and clown faced. She thought to create a make up line. Her line, Jules- More Than Make Up, is a set of kits or pieces that come with their own educational video to accompany them. So if its a look you want you can buy a kit, or if its a quick fix you can buy a multi-purpose gloss to fix you right up. I actually got to work with Jules when she was launching. She let me be a part of her videos and just by being in the chair I learned a thing or two. But is it true? Can I make these looks for myself? 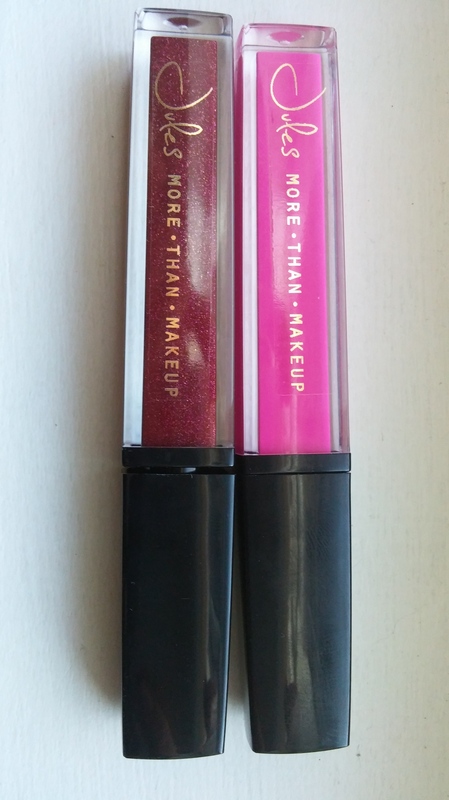 The Top two pots are the evershadows, the tubes are the molten lip color and the red pot is the everlip! 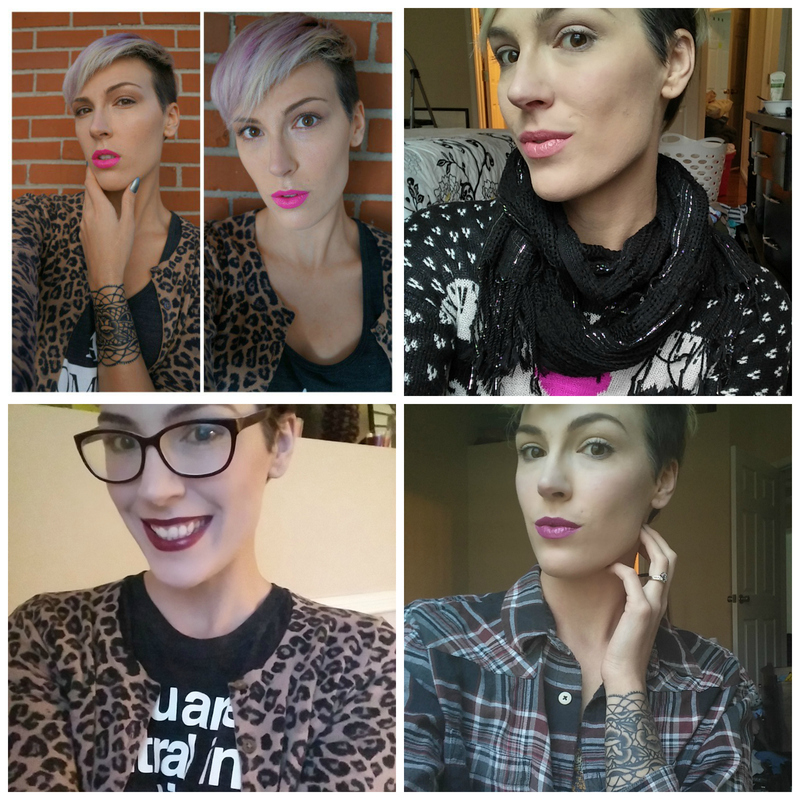 So first things first, I am all about some lippies. Not sure whats going on with me. I used to be a clear gloss, chap-stick kind of girl but since I’ve learned how to wear color and that it is not scary but fun, I have been pretty adventurous. REDY or Not- this was my first introduction to #JulesMTM they made a bold move when they launched their crowd-funding campaign for the business at Savannah’s Fashion Night. They asked for fans to paint the town red and with the free lip bars, many believers were made. This red is a true red and looks great on every single skin town. Don’t believe me? Check out their fb and instagram feeds! 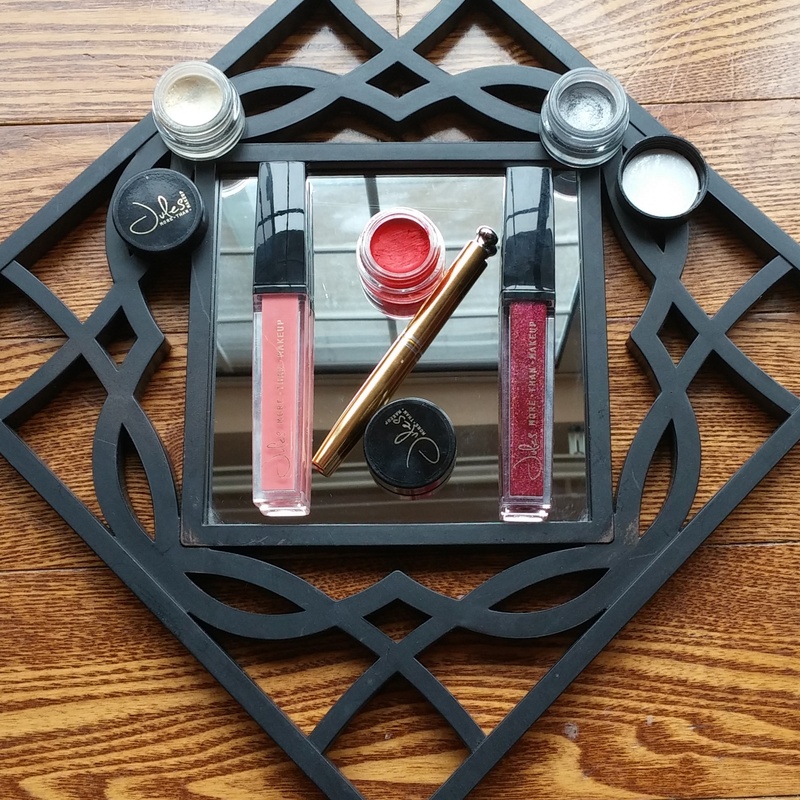 And the color lasts, for those of us who experience the length of a military ball and ceremony, its a lip color that will last you all night, and if you don’t remove it, well into the morning 😉 and I love this product so much I bought one for a give away a few months back. Molten Lip Color- This is my new favorite! So I bought the Hot Mama Pink on the crowd funding campaign a couple of months ago. I was sure it was a color I would never wear but it was for a good cause and maybe I should experiment. and so I did! This is boss! I can’t even deal with how much I love this color. Then I go to shoot with Jules and she teaches me how you can also use as a cream blush. I am a BIG fan of cream blush and this color is actually close to the powder color I was using. So trade out time. Then I got my hands on Pinky Peach which is a great blush color and everyday lip, I also love peachy blush. Oddly enough I’ve always been a blush girl… if that’s a thing. Most excitement was over the new Ruby Noir! This Ruby rich color loaded with ssparkle and shine scream date-night or Valentines Day Romance! I’ve even started to experiment with mixing the colors. Evershadow- the everlip and evershadow are named that for a reason, because the pigments almost last forever. The creamy consistency also makes it a great base as well as color. A very little of this product goes a long way! I like to use as a metallic eye-liner too and it has proven that the pigments lasts much longer than any other metallic liner I have used. Will be posting some fun pics playing around to the Instagram page soon! I have also heard amazing things about the Ninja liner and plan to get one soon. If you have any of their products tell me whats your fave below? Or which you want to try most?